Among the steep Cuchillo and Oliva ranges there is a wide valley that holds a secret: Alarcón Winery Estate House. The area around the town of Caudete has a special microclimate influenced by the Mediterranean. The winery is located in an idyllic location. Its 850 hectares are devoted to traditional vine crops, olive groves and pastures, and to breed La Mancha sheep and Spanish purebred horses. In Alarcón Estate House they do know about wines, oil and cheese as symbols of La Mancha and the Mediterranean culture and tradition. The grape harvest is manual so that the vine is not damaged. 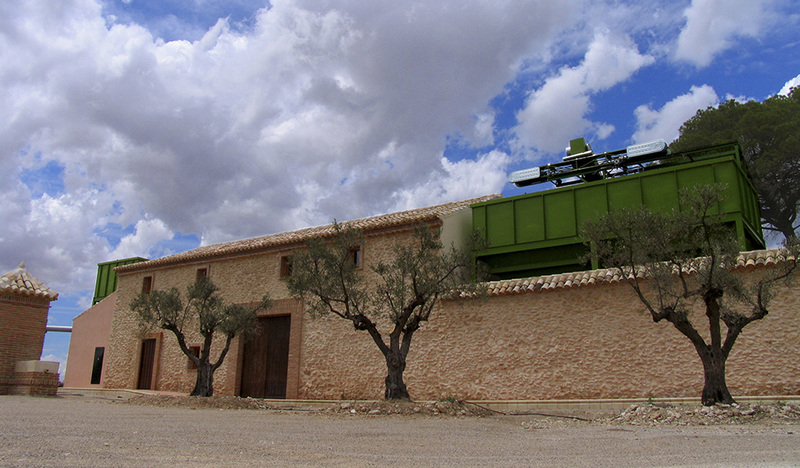 The ideal environmental conditions for the crianza room are met thanks to the fact that the winery follows the natural slope, being most of the building underground. Its wines blend terrain and climate peculiarities into an exceptional flavor. Among its labels we can find Viognier, Rosado de Syrah, Tria R. Francés and Americano, Nea, Don Jaime and Blau. 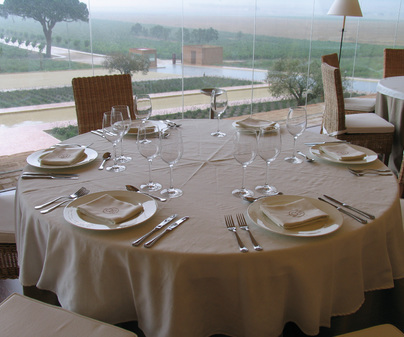 The visit around the winery can culminate in the restaurant, with breathtaking views over the vineyard and in which you can taste the traditional La Mancha cuisine. 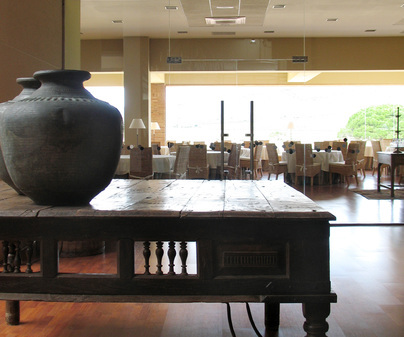 It is the perfect place both for social or family celebrations, and to organize events and meetings.